Rev Brother J.C. Hastings 1910-1915. Br Hastings was born in Castlar, Co Mayo in 1910. 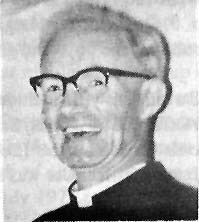 He Joined the Christian Brothers in January 1935 and worked in many of the houses and schools in England before being moved to Edinburgh. Together with the late Brother O'Connell he took possession of Beechwood House on the 2nd of April 1953.